It’s not only my new favorite word, it’s my new favorite pasta shape. It’s a fat, solid, strand noodle made with whole wheat flour so it delivers a wonderfully nutty, almost creamy taste and texture. 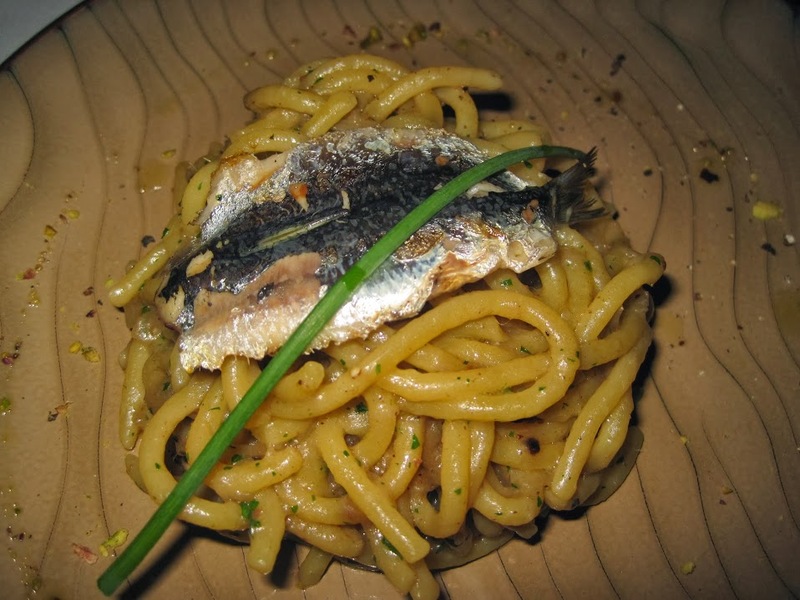 We devoured piles of it outside a restaurant in Venice where the chef was hand-rolling the noodles in the kitchen — delightful! 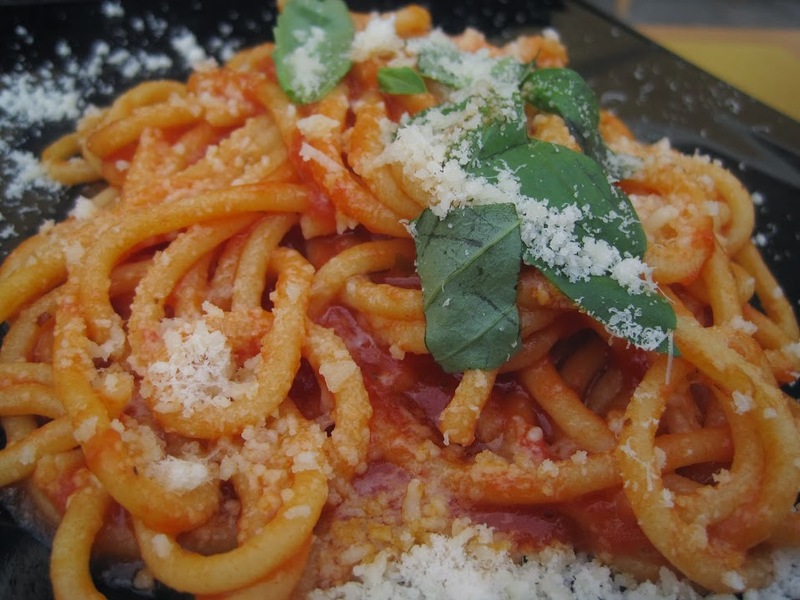 Of course, just about ANY pasta is delicious when you’re wolfing it down while lounging outdoors along the canals of Venice. However, I would scarf up freshly made bigoli pasta in a dark, dank, smelly cave. 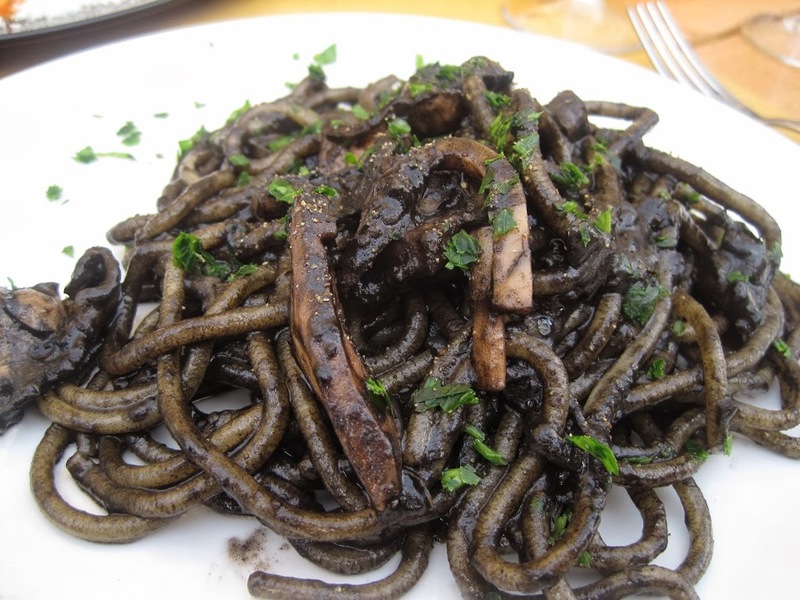 It’s toothsome and silky and the perfect canvas for some of the most famous Venetian sauces — bigoli in salsa and bigoli with cuttlefish drenched in its own ink. We enjoyed them all. Multiple times!